Summons a totem that provides a conduit between this world and the spirit world. 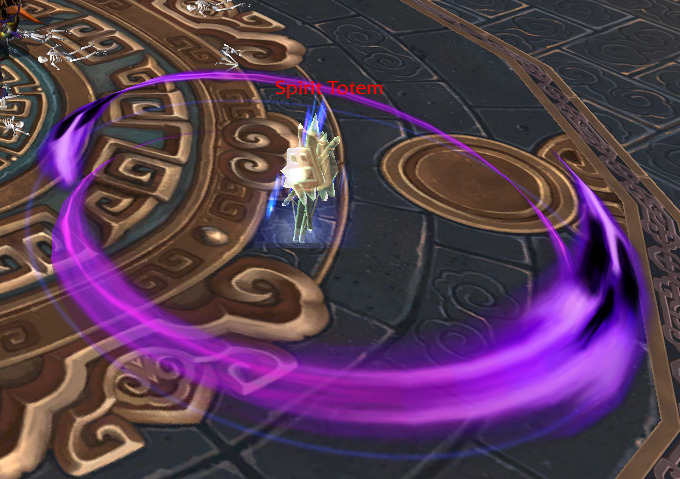 On normal mode, you kill these totems to enter the spirit realm (rather than click as in LFR). It will take the three closest people (who do not have Voodoo Doll) inside when it dies.